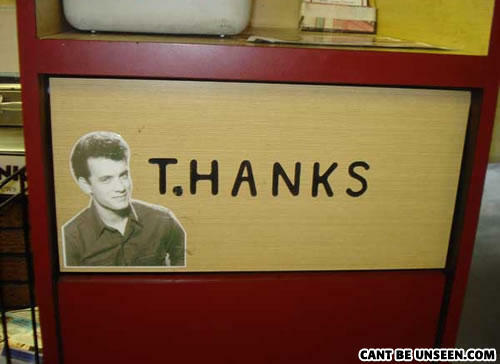 Now I will always feel like I'm feeding Tom Hanks my garbage. What is white and re(a)d all over? White paper that is dyed red.